Since I have had so many projects in the last little while (4 in fact) that have needed to be ripped back and redone for one reason or another, I decided to go back to the drawing board and make a few easy things. Things that I know I can complete without any drama. 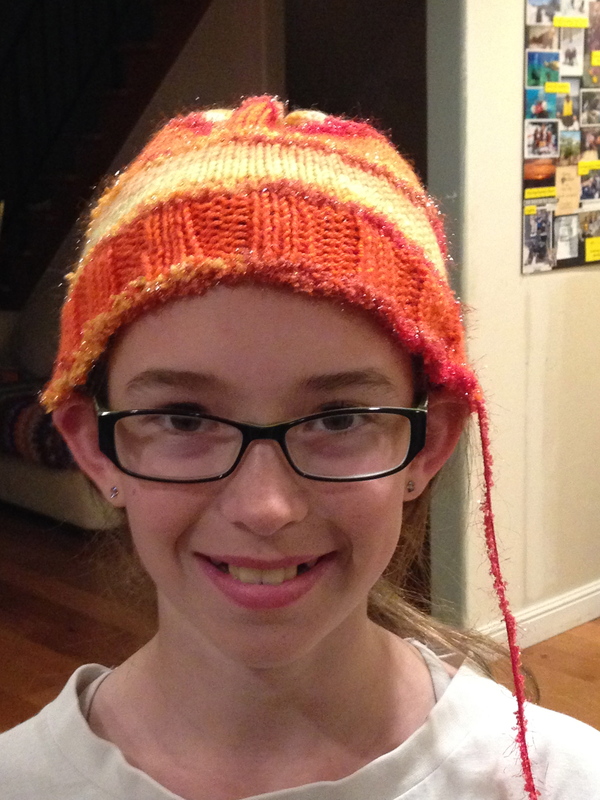 I have enjoyed knitting some things that do not have to be fixed!! 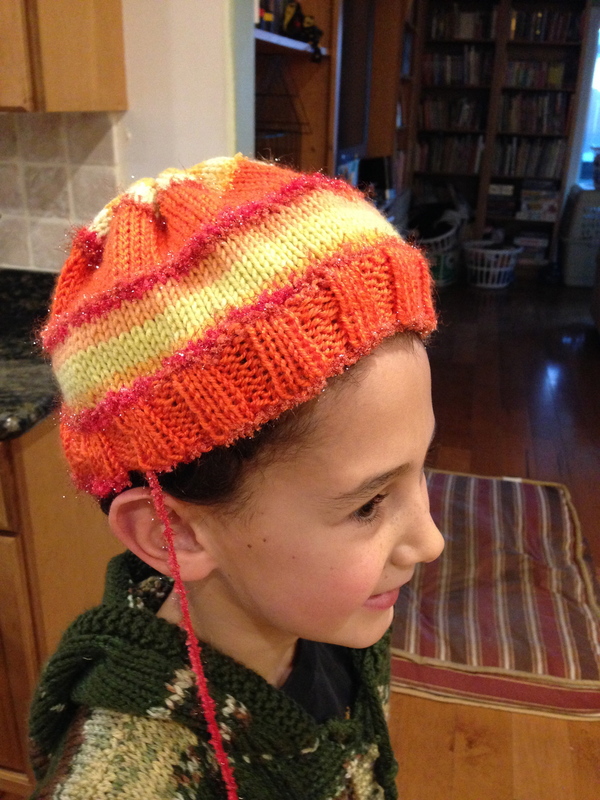 This hat started out on a whim. I was at JoAnn Fabric and Crafts looking for a different yarn. The yarn to finish J’s vest to be precise and I saw this Keppi Yarn in a box waiting to be put out. I thought it looked so fun with its different colors and textures that it fairly jumped into my basket. Well…once in the basket, I couldn’t not take it home with me! 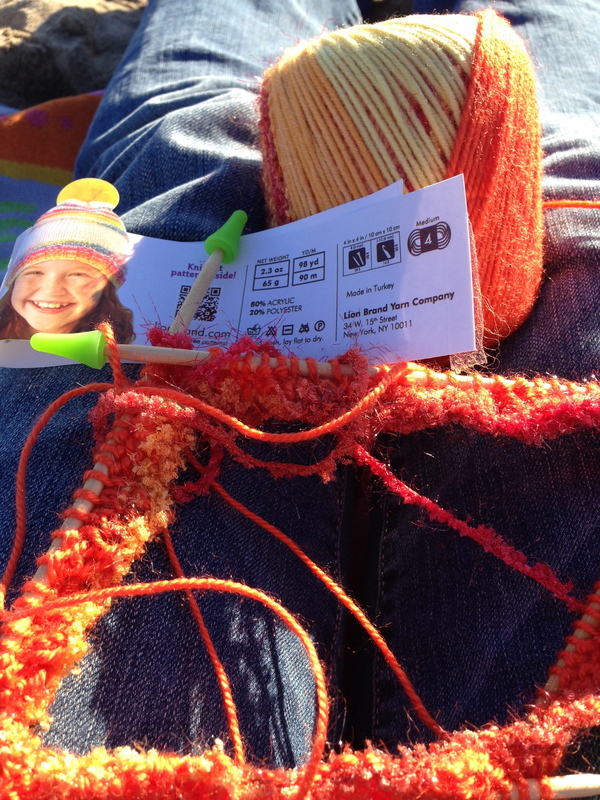 I started knitting this hat on a family outing to the beach. The kids were all playing in the surf and digging holes in the sand. Everyone was happy and occupied so I sat down for a little “me” time. Boy, such a relaxing way to spend an afternoon! And too small for J. Bummer!! I have now ordered more yarn (yes, the store is out of it) and am awaiting it’s arrival. If you are counting, this is my 4th fail in a row. Everything comes out in the end, but the last 4 projects, I have had to rip out and redo parts of them. 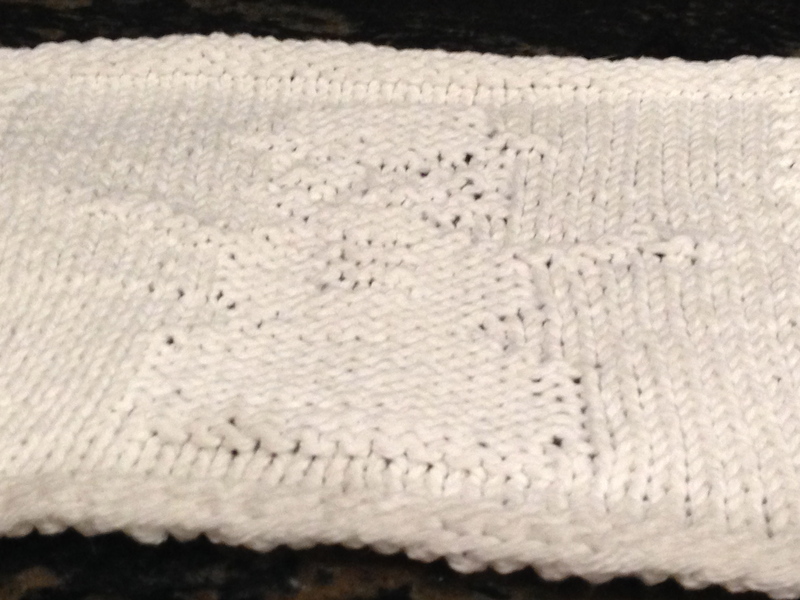 Me thinks I should go back to something super simple to get a few more “first knit” successes under my belt again!! 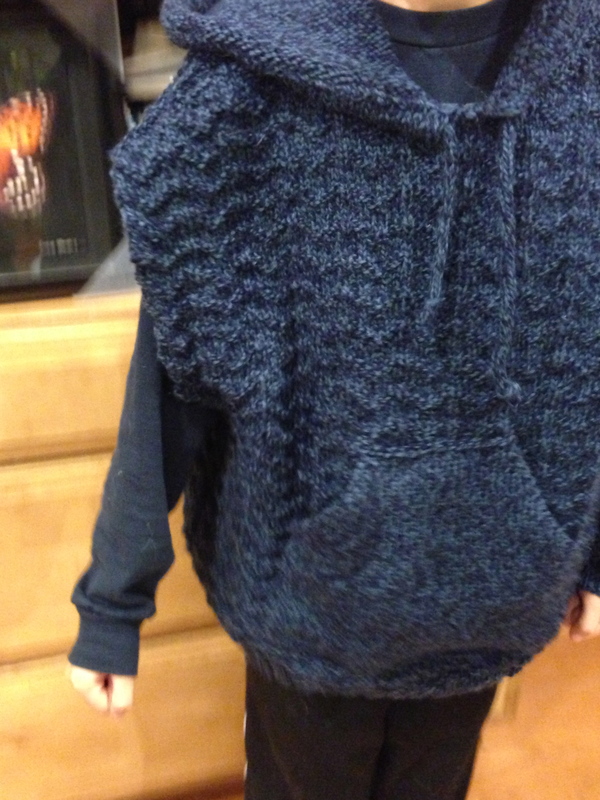 The vest in question is for J (he’s 8) and his specifications were very exact – he wanted a vest that fell below the waist, had a hood and a pocket, and it had to be “soft”. 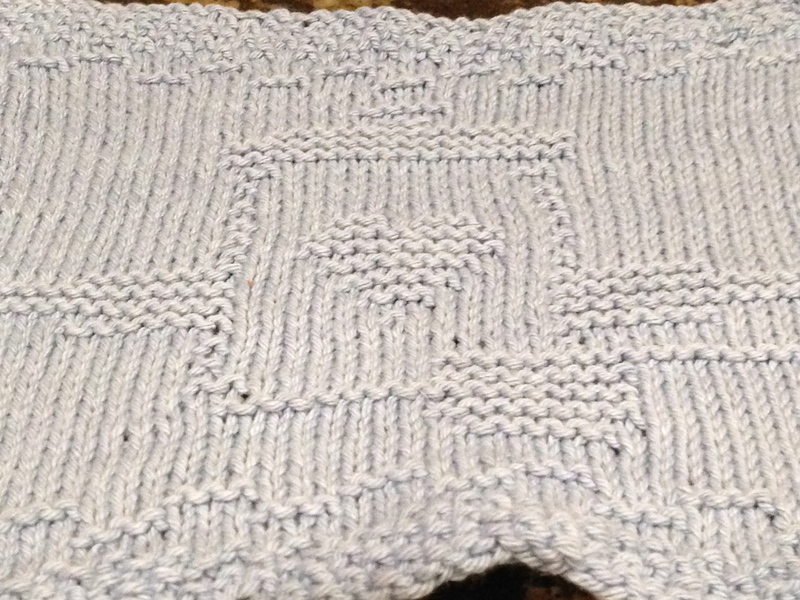 I started it right after I finished Ty’s sweater. 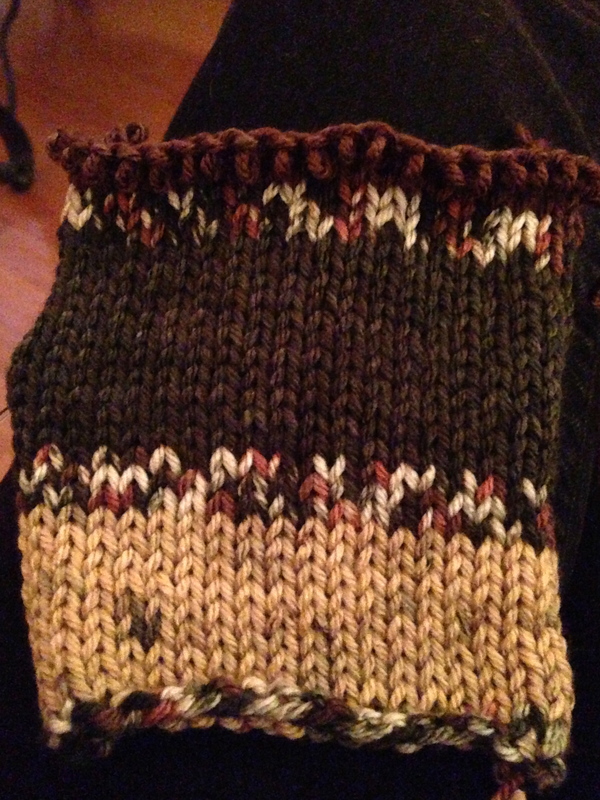 For this project, I did make a swatch. 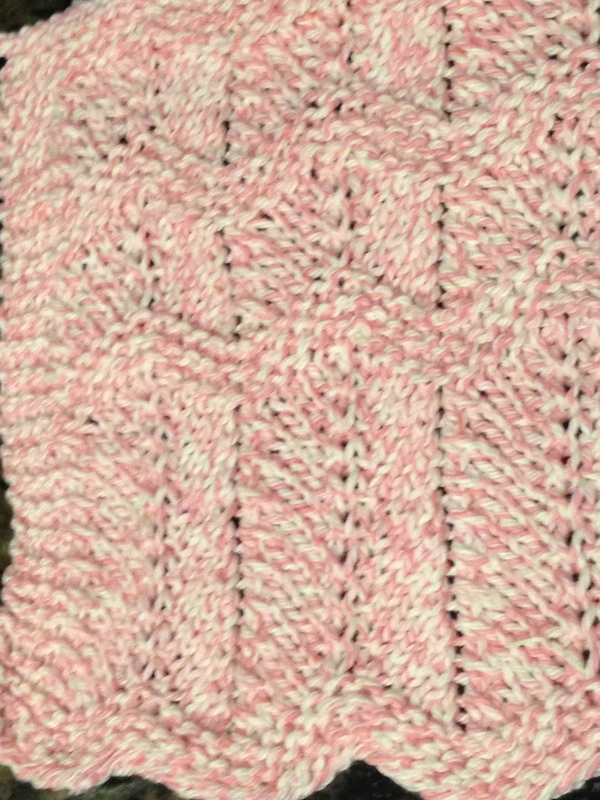 I substituted a thicker yarn than called for. J picked everything out himself! 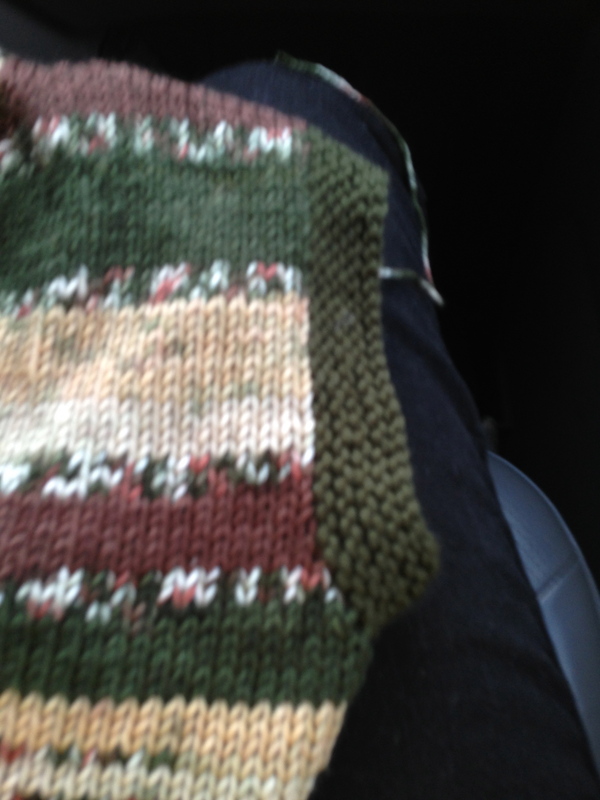 Knitting on a car trip. 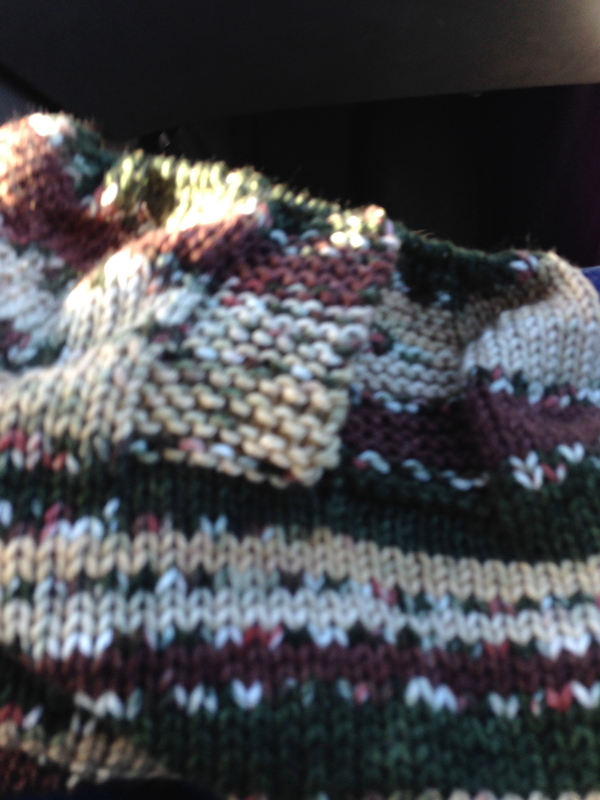 Over the December holidays we went to San Francisco and Monterey so there was plenty of time in the car to knit. I knit both the front and the back of this vest at the same time. It was a little tricky when it came to the split in the front, but it seemed to work out well. 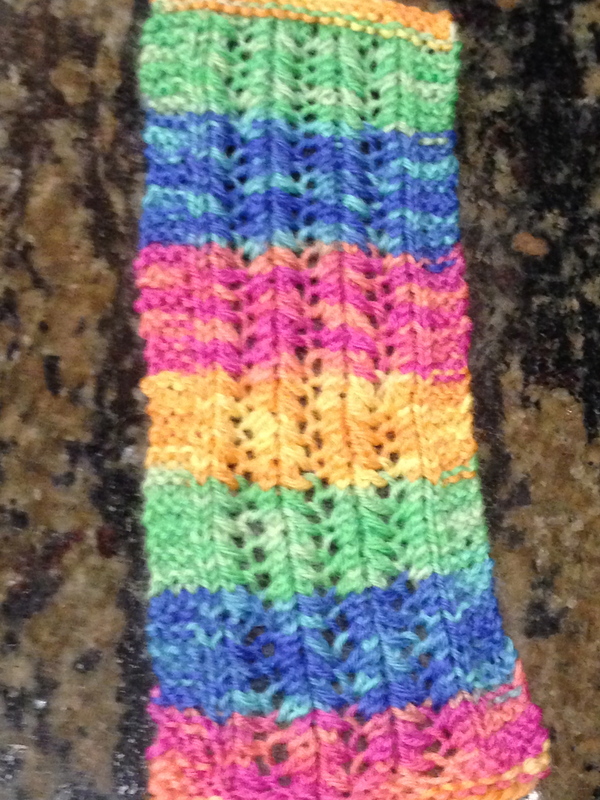 After the front and back were finished, the arm bands were added. I really like the darker green as a contrast to the variegated. 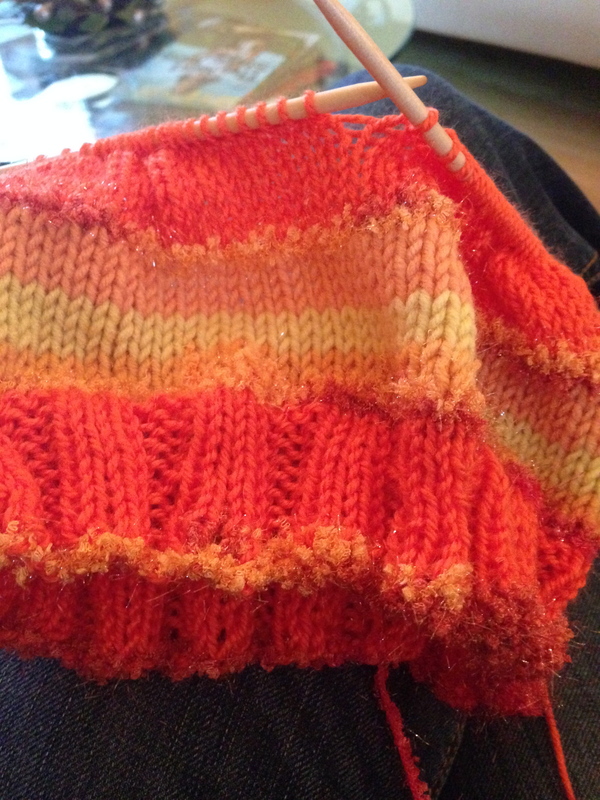 I had attached both armbands and knit up the hood before I realized there was a mistake in the front. If you look closely at the neckline, you can see that the right side of the garment has no neckline curve – it just attaches to the shoulder seam at the placket – while the left side of the garment has been done correctly. ACK!! Prepared for surgery and reconstruction. Off came the armband and out came the shoulder seam. This is where I discovered that the mistake was not quite as bad as I had thought. 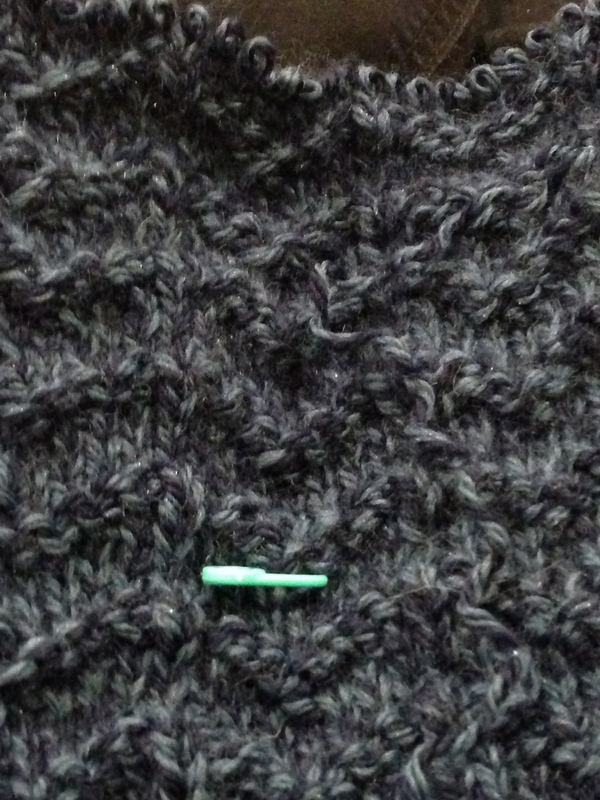 I thought I had not knit enough rows to make the neckline curve, but I had just sewed the vest together wrong. WHEW!! What could have been a many day fix was now just a couple of hours. The vest in all it’s glory! 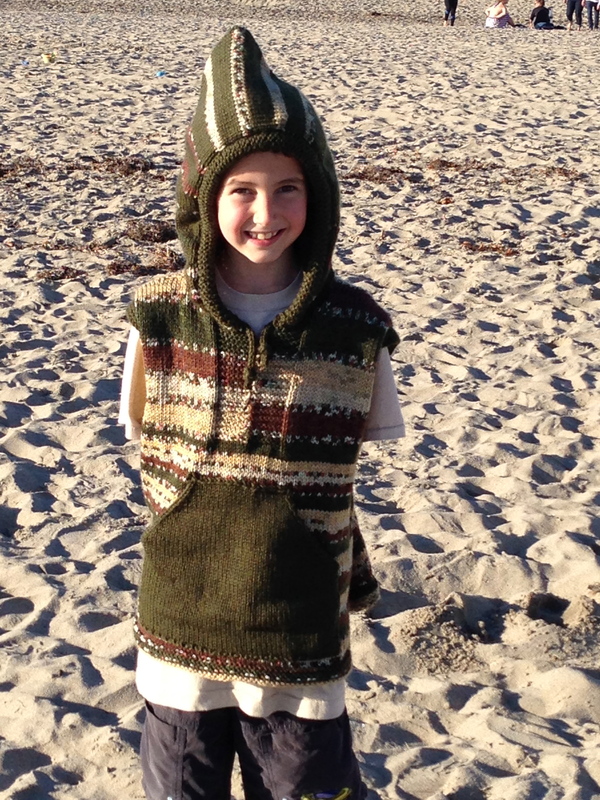 We went to the beach the very next day after this vest was finished and J wanted to wear it. He hasn’t taken it off yet! That pocket is his most favorite thing about the vest. The hood runs a really close second. 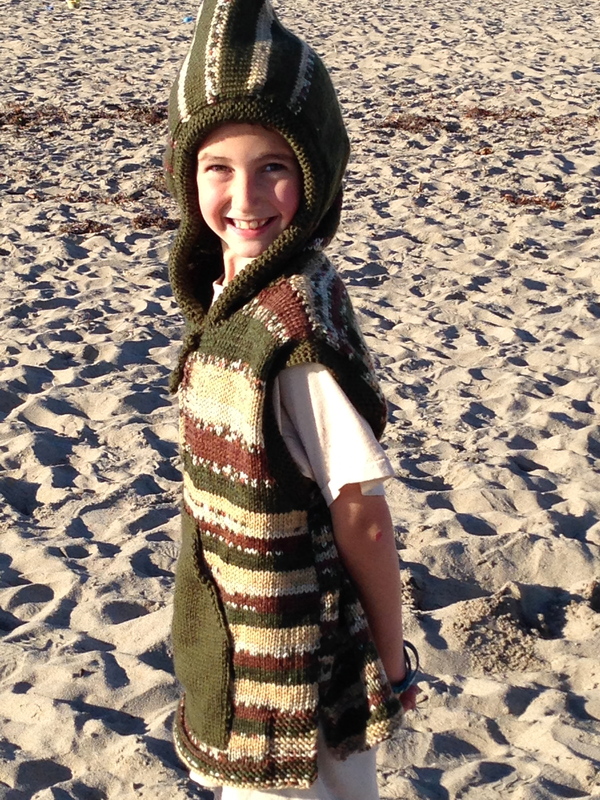 It makes me so happy to see my kids wearing the things I made them! 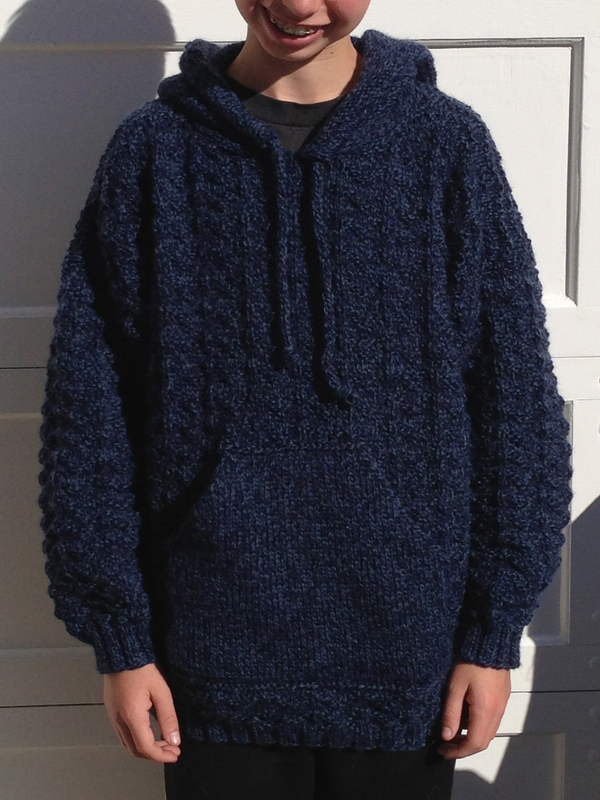 https://stitchingirlblog.wordpress.com/2013/12/17/ta-daa/ The final pictures were taken right before he left for school that day. He came home that afternoon as usual and nothing appeared out of whack. 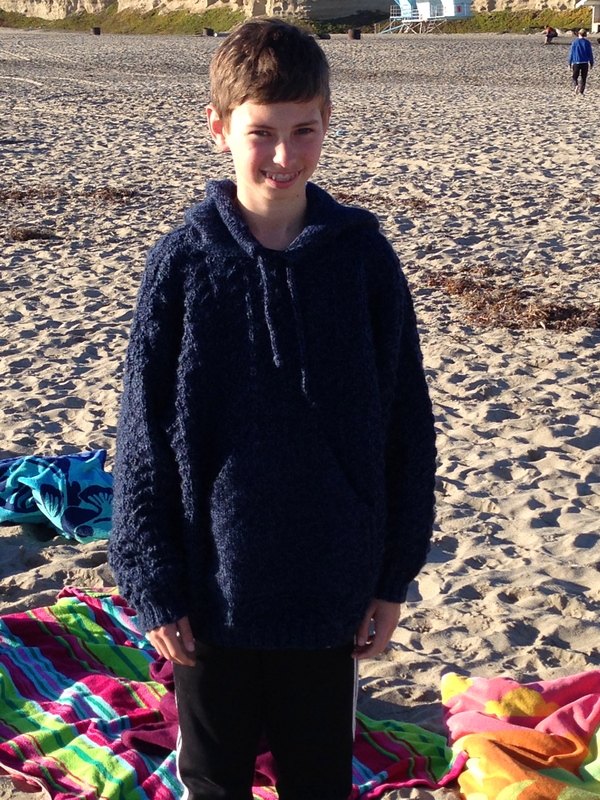 UNTIL….the next morning when he wouldn’t put on the sweater. Hmmm. I asked him about it and he finally told me that I had been right and the sleeves were too long for him. The sweater was uncomfortable. ACK!!! I knew this was going to happen, but I made it to order anyway. 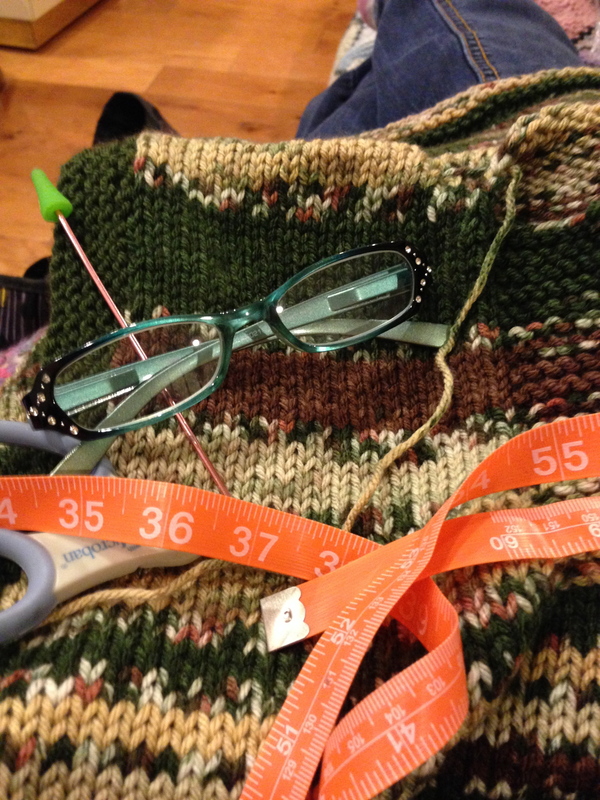 I let the sweater sit in time out for a couple of days and then started the arduous task of taking it apart. Taking out the underarm seams. The first step was to take out the underarm seam. I sewed this together under the arm from wrist to waist. 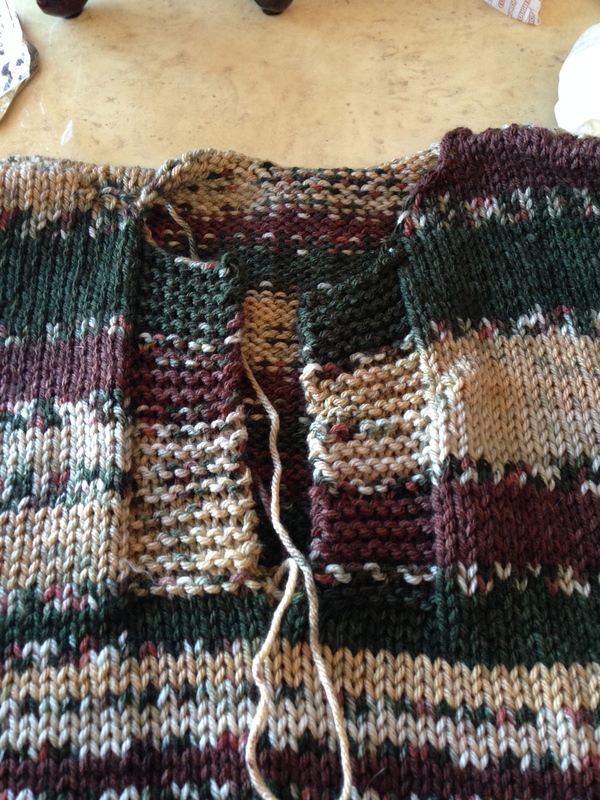 I only undid the seam to just below where the sleeve attached to the sweater. 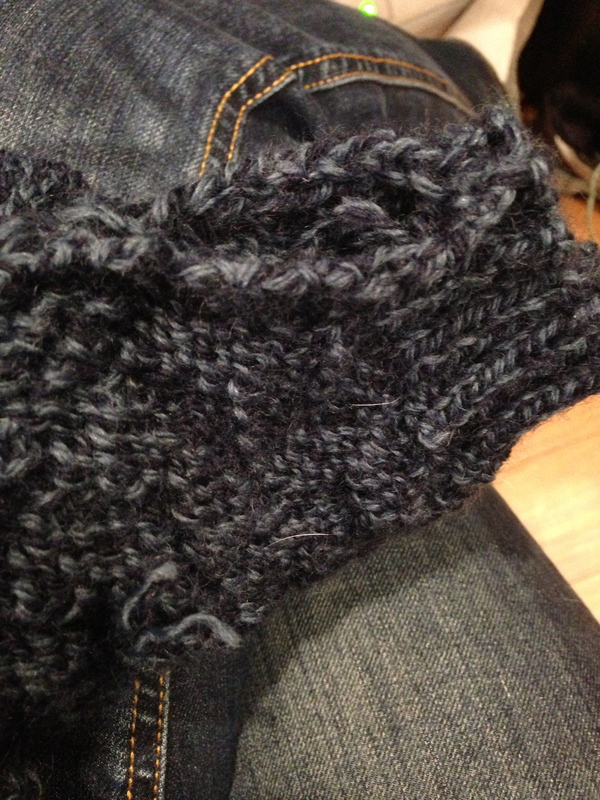 Then of course I needed to take out the seam attaching the sleeve to the sweater. I did this to both sides. 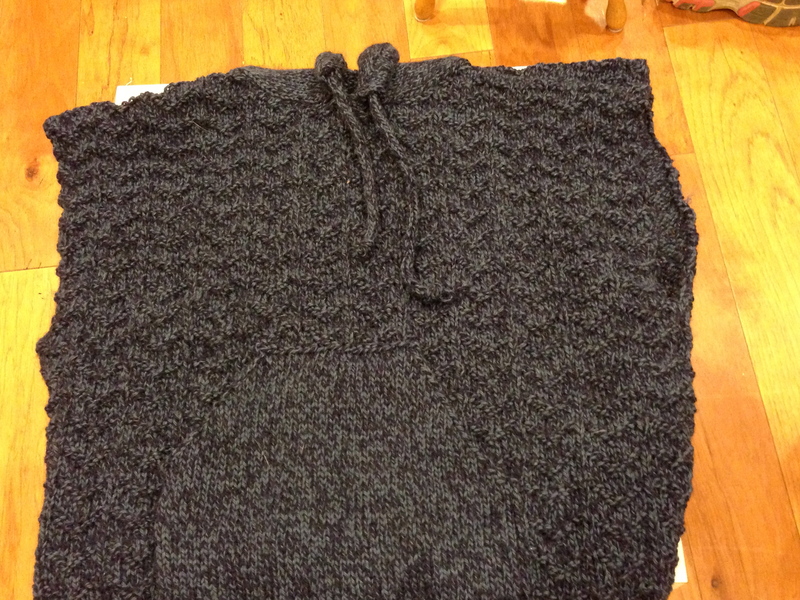 One sleeve separated from the sweater. 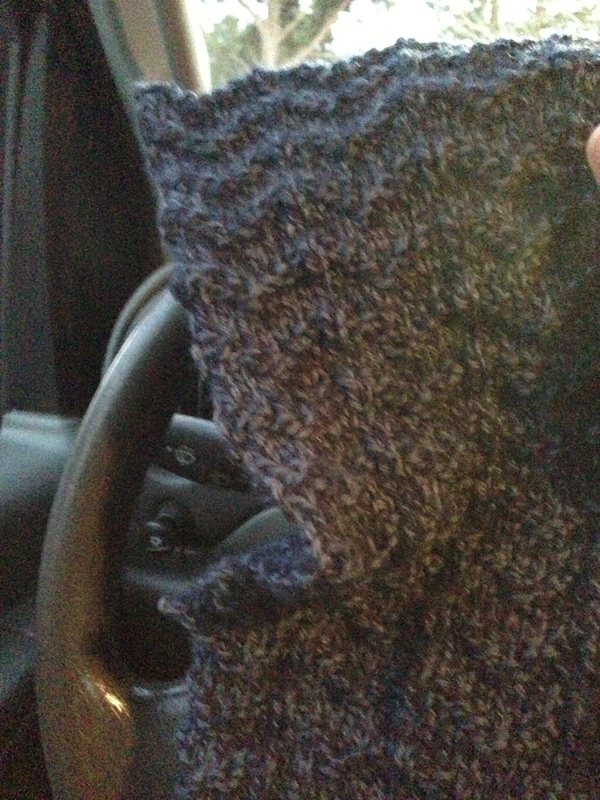 While waiting outside of an Oboe lessons for K, I took the sleeve off the sweater. First sleeve totally off. Time to do more measuring! After the first sleeve was removed, I had Ty try it on and we measured how long the sleeve “should” be. I measured several times just to make sure! Getting “live” stitches back from a cast off edge. 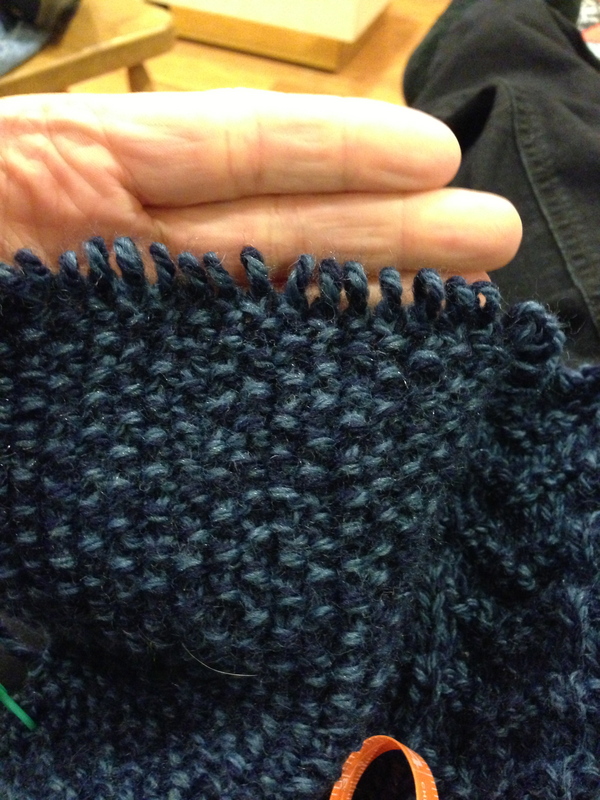 It took a little bit of doing, but the cast off edge was finally back on the needles. I’m not quite sure why I did it this way. 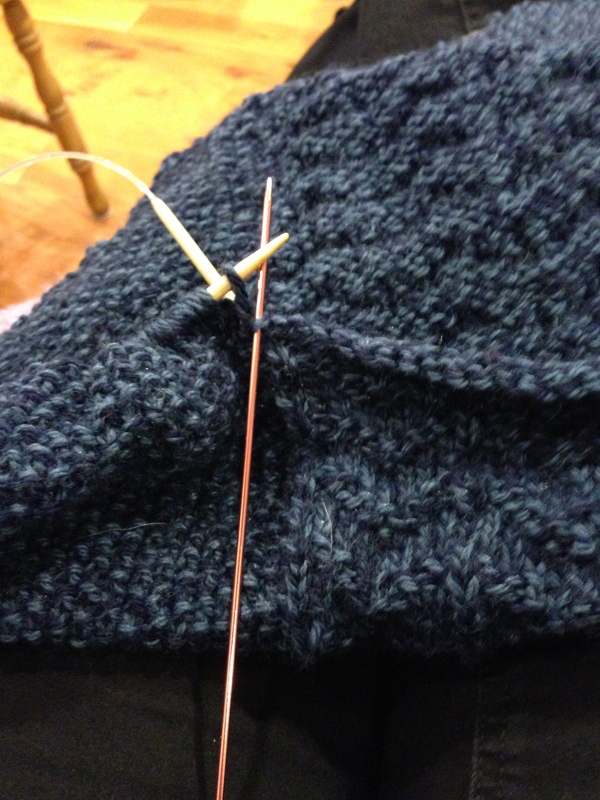 I guess I was afraid that if I didn’t get it all back on the needles, the sleeve would start unraveling unevenly. Live stitches waiting to be ripped out. 5 1/2 inches of ripping to be done. We needed to rip and rip and rip back a total of 5 1/2 inches. Some of the yarn that was “un-knit”. 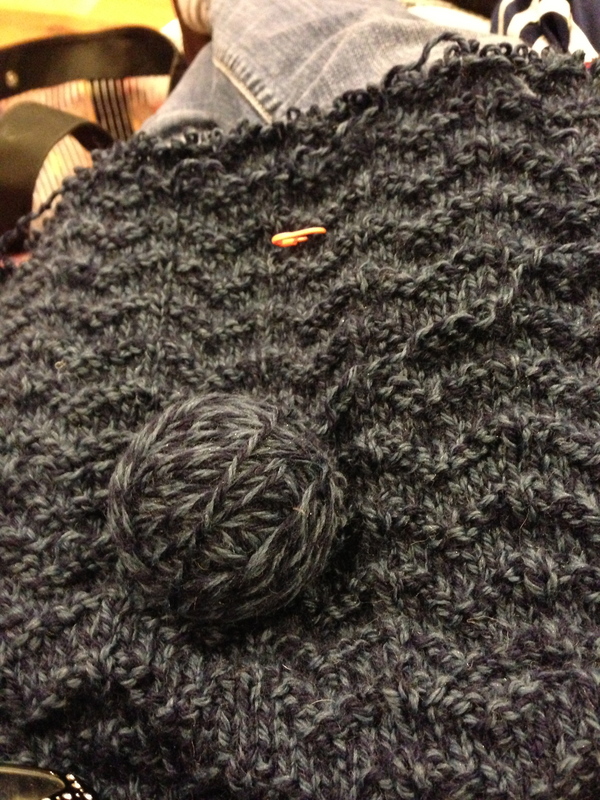 As the sleeve was ripped back, I rolled the yarn into balls. I can use it for something else. Such a sad sight indeed! I guess the 2nd time around is a charm this time! He totally loves it and check out that sleeve length – Just Right!